These guiding schemes are bad masters but good servants. They will show you a safe and easy way through the trodden paths of science, leaving your mind free to make new and original observations. Do not object to them on account of their prolixity, you may object to the use of a railway guide on the same account. 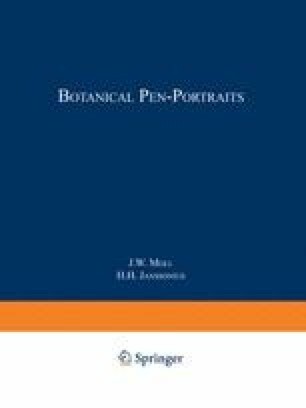 Yet a man going to the railway station without having consulted his guide and hoping to find there his train just starting has a better chance of success than a botanist has of making a good pen-portrait without using a guiding scheme.